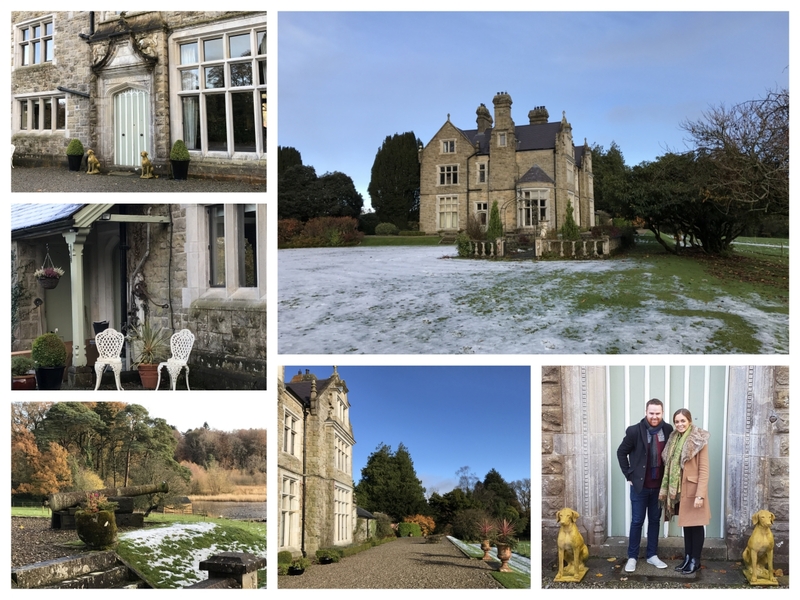 A few weeks back we spent the weekend in Blessingbourne Estate with our good friends Neil and Orla. We made the journey to Fivemiletown in Tyrone on a cold and frosty Friday evening, and as we arrived in the village of Clougher just before Fivemiletown, we could see the pavements and roadside had a skiff of snow, so we knew it was going to be a chilly one. 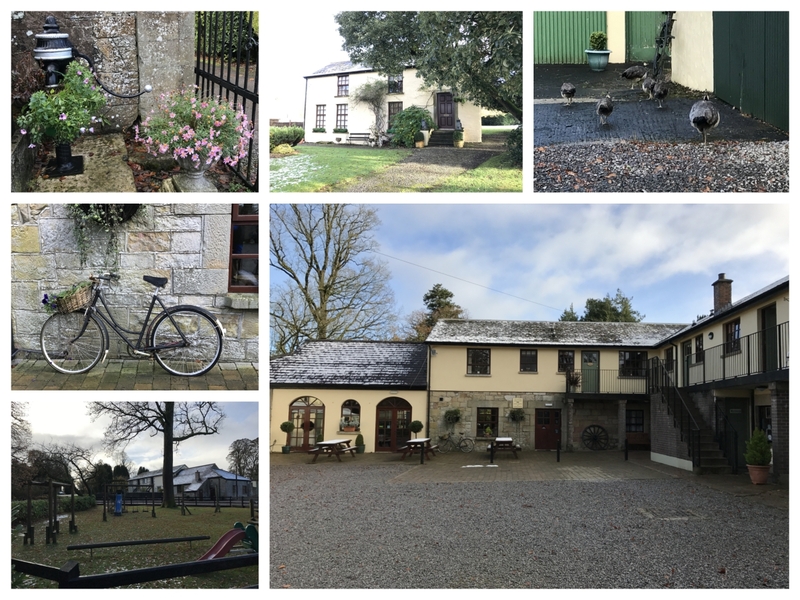 We arrived in Fivemiletown and headed straight to Blessingbourne Estate, our home for the next few days and as it was late at night we would have to wait a few hours to see it in all it’s glory, although we could already get an idea of how impressive the grounds were as we made our way up to the manor house to check in. 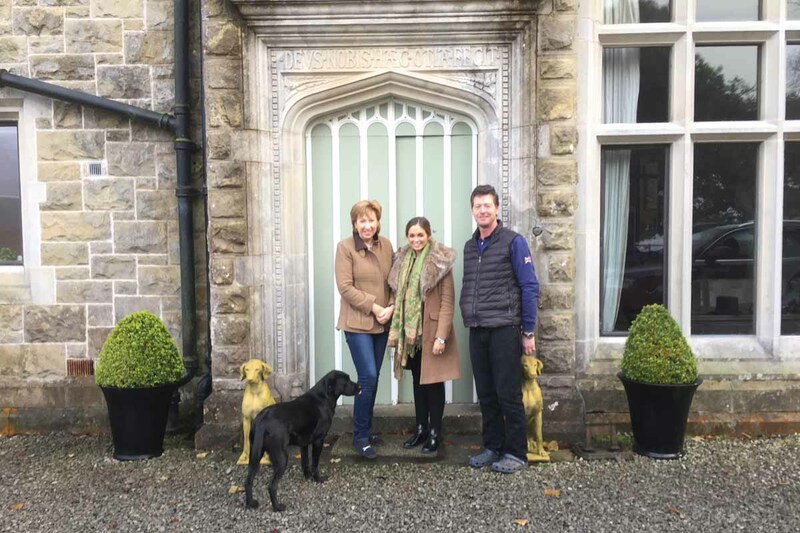 We were greeted by Nicholas Lowry who gave us the keys to our cottage, and we made the short trip back down the driveway to the stunning Gate Lodge. 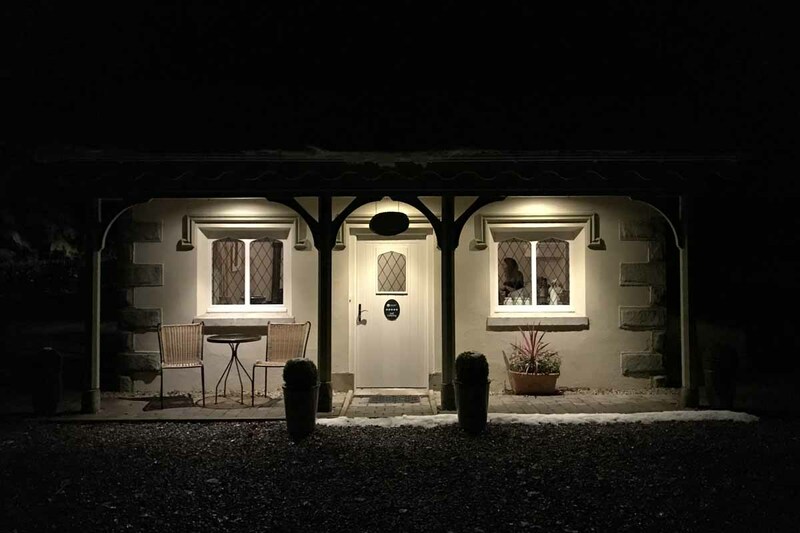 The Gate Lodge is Blessingbourne’s 5 Star cottage and it can sleep up to 5 people. 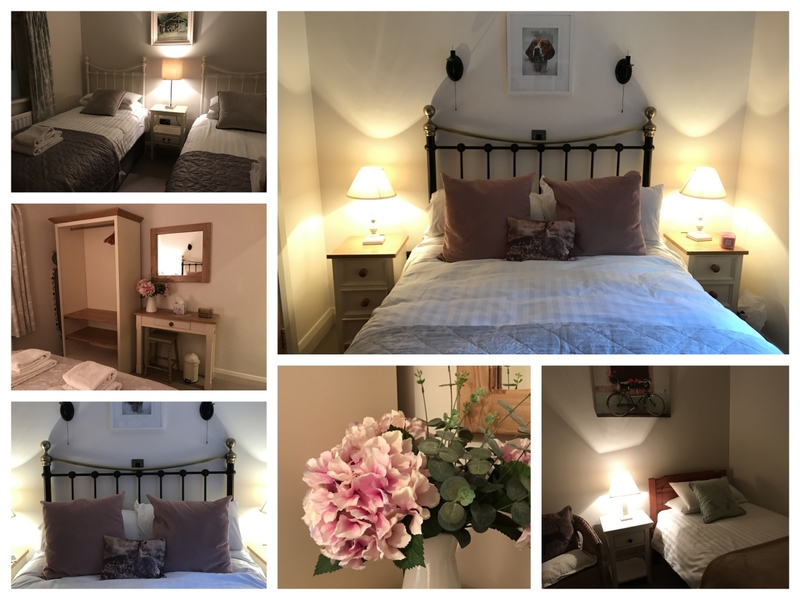 It’s one of six self-catering cottages on the estate, and they are all pet-friendly which is great for those of you looking to bring the whole family. We arrived shortly before our friends and as we opened the doors to the lodge we were hit by a lovely warmth coming from inside. 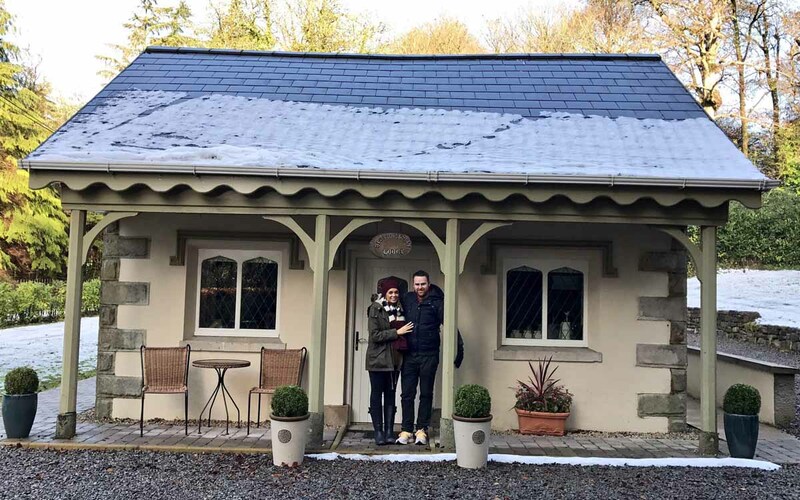 The temperature outside was approaching zero, but Nicholas and Colleen had ensured us we wouldn’t feel the chill on arrival by having the stove lit for us, just one of the many lovely touches from the guys over the weekend. We settled into the lodge and as our friends arrived, we made the small trip to the local shop to get some supplies. Nicholas and Colleen had left us some basics, and a bottle or prosecco which was so kind of them. The guys also called in to check in on us and give us a bit of background to the estate, and Fivemiletown. It turned out that Nicholas and his family used to spend many a summer in Glasdrummen, which is along the same coastal road as our home, and only a few minutes drive away. As we arrived at around 8.00pm, we decided a cosy night in front of the stove was the perfect way to spend the evening. The Gate Lodge is the first cottage you see at Blessingbourne, and indeed the first sign of life around the grounds of the estate. It’s a stunning cottage both outside and in, with a charm and warmth that makes you instantly relax. 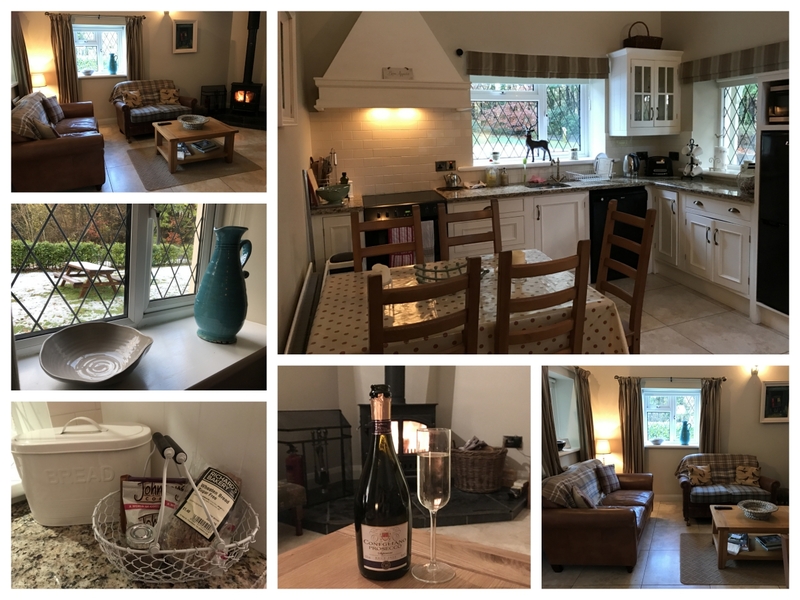 The three bedroom cottage is beautifully decorated in a clean, country style and the open plan kitchen living area boasts an impressive vaulted ceiling and a cast iron stove. The gorgeous lead windows which feature at the front of the property add to the chocolate-box feel. The temperature in each bedroom can be controlled separately to accommodate the whole family. There are three bedrooms in total- a double bedroom with an en-suite, a twin bedroom and a single bedroom. 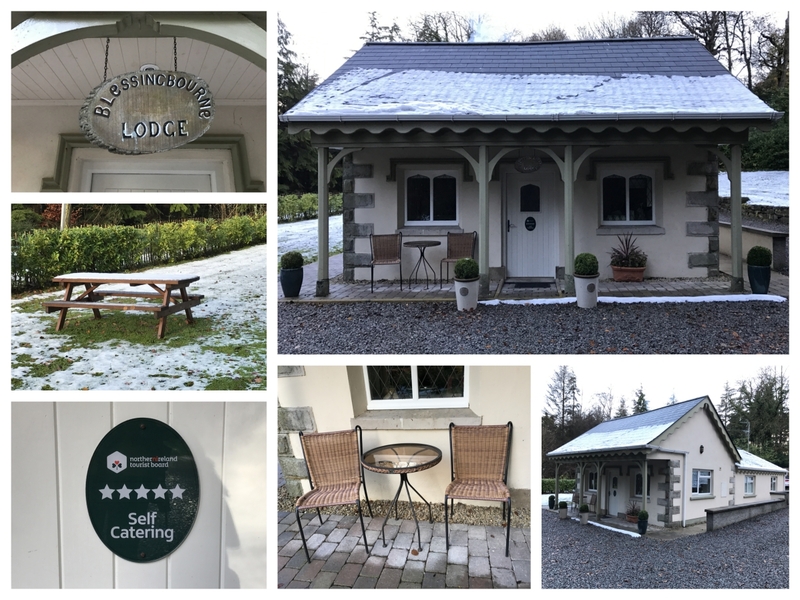 The Gate Lodge truly is an impressive space and set the perfect scene for our winter wonderland getaway. The light of morning revealed a beautiful, undisturbed snow scene, and reinforced the sheer beauty of our new surroundings. 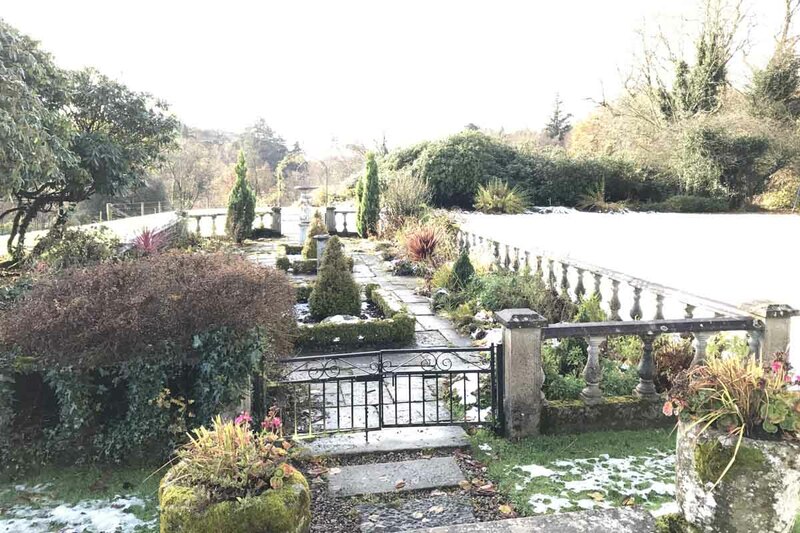 The Gate Lodge has a good sized garden which would be great for a family during spring / summer where you can really enjoy the outdoors long into the evening. There is a picnic table outside which would be perfect for barbecue season. 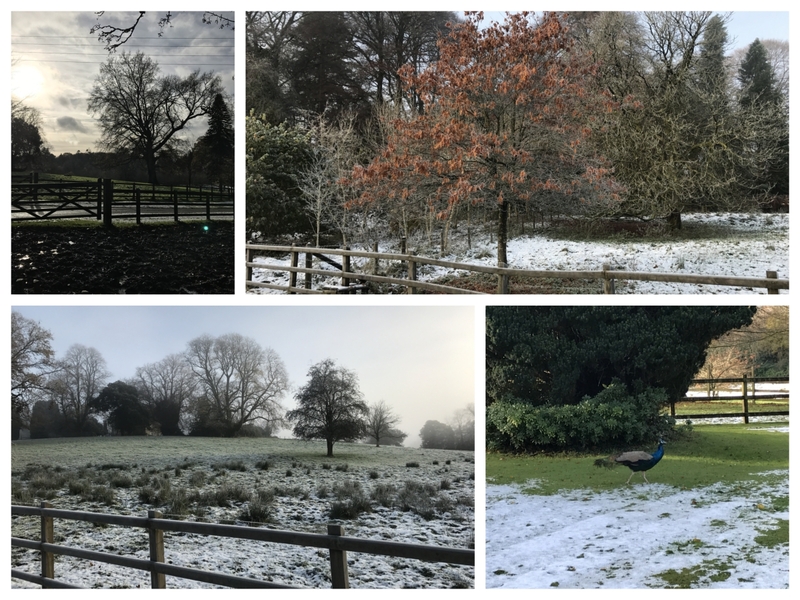 For us, morning gave us a chance to set off and explore Blessingbourne Estate in all its glory, starting with an early morning walk. 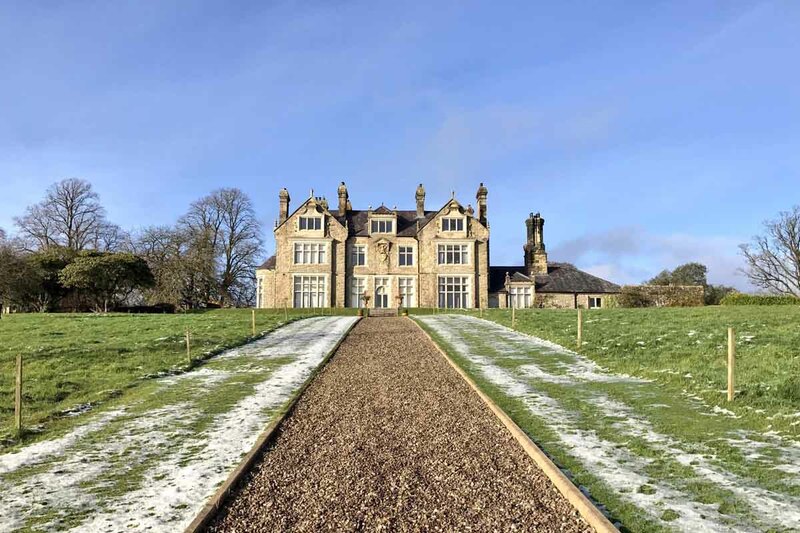 The grounds of Blessingbourne provide the perfect surroundings for visitors to enjoy a range of activities without having to leave the estate. 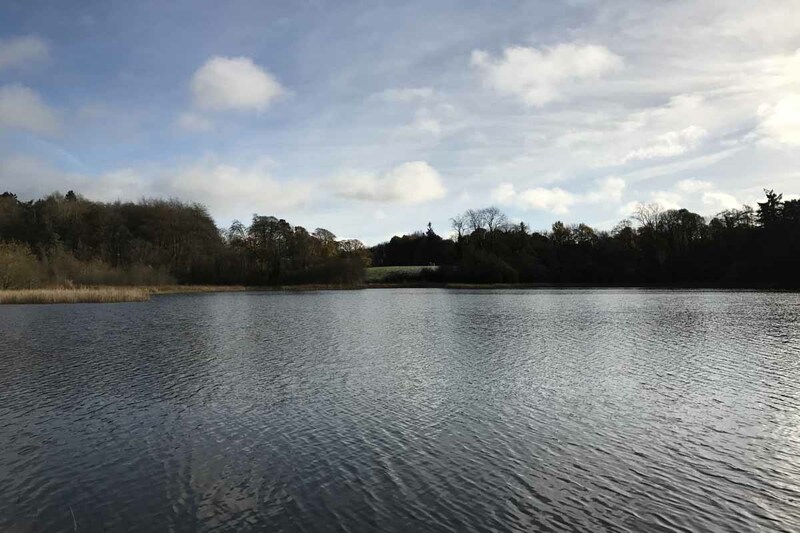 There are a number of picturesque walking trails around the estate, and with a shimmering frost as our backdrop, we set off on foot to explore Blessingbourne in greater detail, taking in the stunning lake and woodland area in the process. 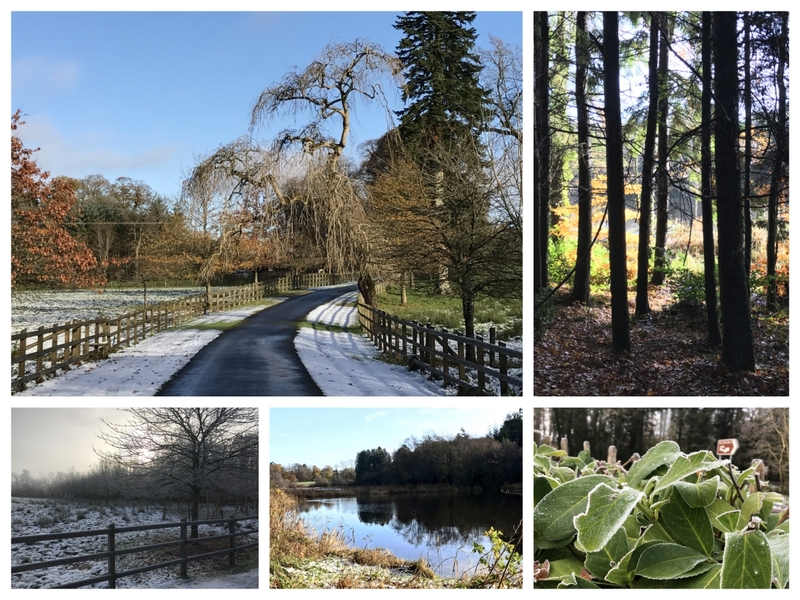 There’s just something refreshing about a woodland walk in the cool, crisp winter air, and that’s just what we got in our weekend at Blessingbourne. Our walk took us around the lake to the manor house at which point we met Colleen and got a bit of background to the manor house itself. The estate belonged to the Montgomery family from the early 18th Century, before being inherited by the Lowry family. The estate dates back to the 17th Century and was used as a base for the Americans during the war. You can find out a bit more about the history of Blessingbourne here. Other activities to enjoy at Blessgingboure include fishing on the lake, a carriage and costume museum to explore, a working farm, a tennis court and a play park for the kids. 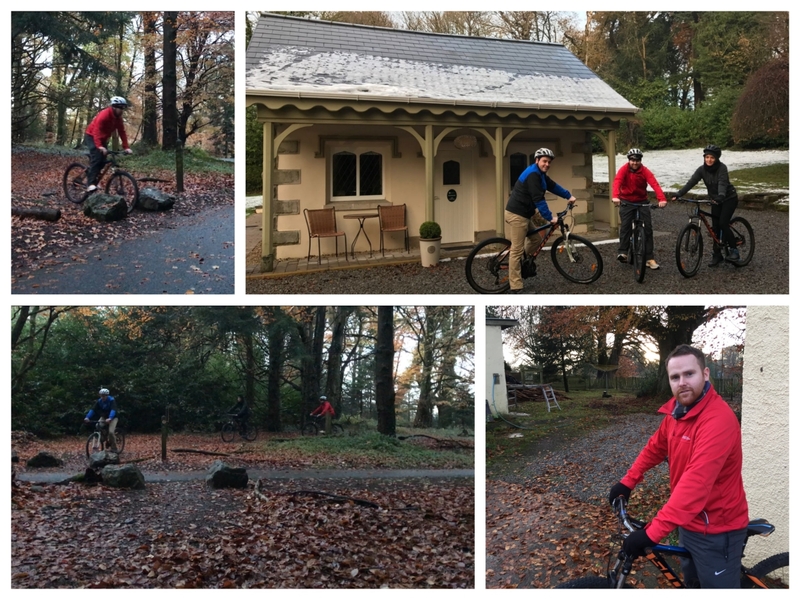 The estate is also home to one of Northern Ireland’s premier mountain bike trails, and it’s the bike trails that seemed to attract the majority of non-staying visitors to Blessingbourne. We’ll be honest when we say this was our first time on a mountain bike for a number of years, but the bike trails at Blessingbourne were a good introduction and have certainly made us want to do some more mountain biking; after all, there are 3 trails within 15 miles of our home (Castlewellan, Rostrevor and Tollymore). There are two trails at Blessingbourne, a 4km blue trail which is the one we cycled around, and an 8km red trail which is tailored for the more experienced bikers. There is also a short pump track to explore, and you can hire bikes at the premises. Whether you’re a seasoned mountain biker or like us, it’s been a while from you’ve been on a saddle, the bike trails are one of the big highlights at Blessingbourne, and will certainly have you work up a sweat. After an hour or so on the bike trails, we went back to the Gate Lodge to get ready to explore Fivemiletown and get some dinner. Fivemiletown is a relatively small town with a mix of cafes and bars, and some boutique shops to visit. We spent a short period of time walking around the town and stopped in at Pinochos for some refreshments. The craft shops in the Buttermilk area are worth visiting, but aside from that, you’ll probably have to travel a little further afield to find more things to explore when in the area. 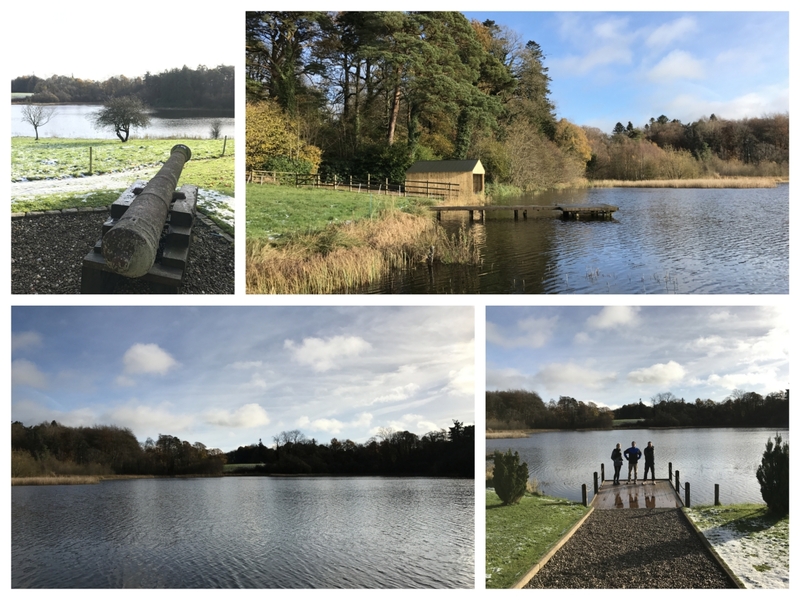 Fivemiletown is a short drive from Enniskillen, while Omagh is only 30 minutes away, and you’re also not too far from Monaghan Town (about 40mins). 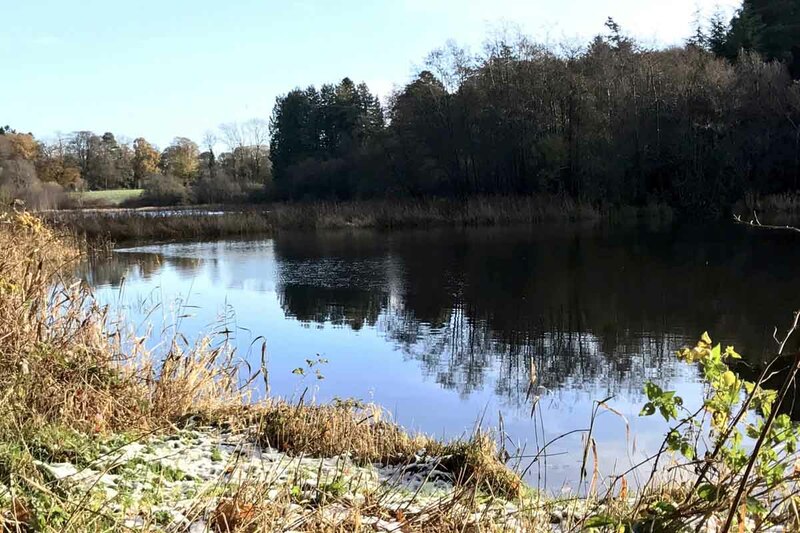 So, if you’re planning on spending a few days in Blessingbourne, and looking to get out and explore the surrounding area, there’s certainly plenty of food for thought. 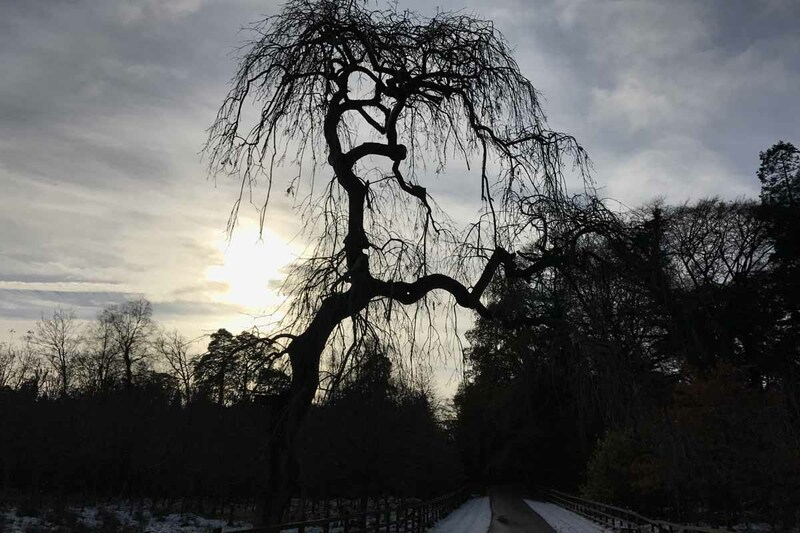 For us though, the beauty of visiting Blessingbourne is that the estate has so much to offer, that you really have no need to set off on any long journeys. 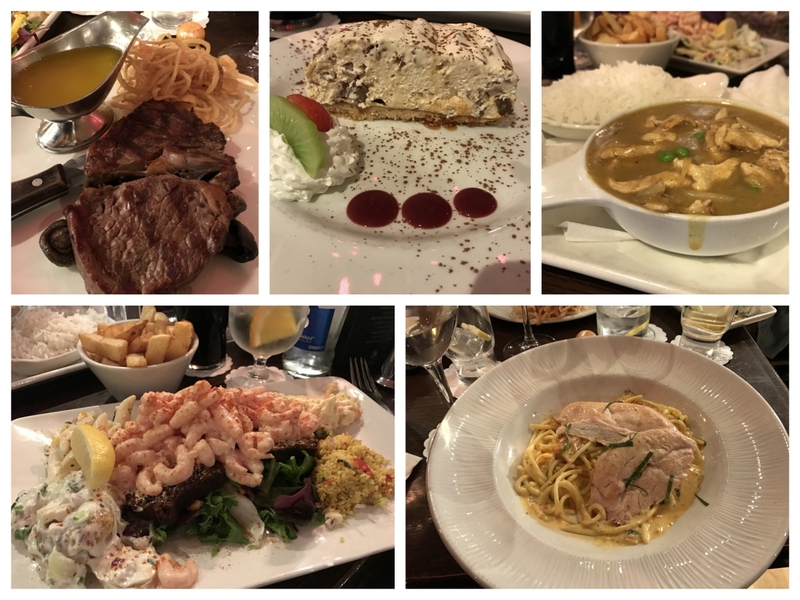 When it comes to places to go for food and drink in Fivemiletown, there is certainly a good range of options. We decided to try out The Valley Hotel on the Saturday evening, and it’s fair to say this must be a popular spot for the locals as both the restaurant and bar were busy. We enjoyed a tasty meal and a few drinks before returning to the Gate Lodge to call it a night. All in all, it was a great day, and the fresh air of Blessingbourne made sure it was a good night’s sleep for all. This was our first self-catering trip in a while and it’s fair to say that Blessingbourne has made a lasting impression on us. The Gate Lodge is a stunning cottage, while the estate itself offers plenty of variety when it comes to activities and things to do. Alternatively, if you just want a weekend away from it all to just relax and unwind, you’ll be able to do that as well. Colleen and Nicholas are great hosts and extremely friendly people who really appear to take the time to get to know their guests. You can tell they enjoy what they do and have a real sense of pride for the land they own, and well they should as it is a simply stunning venue. 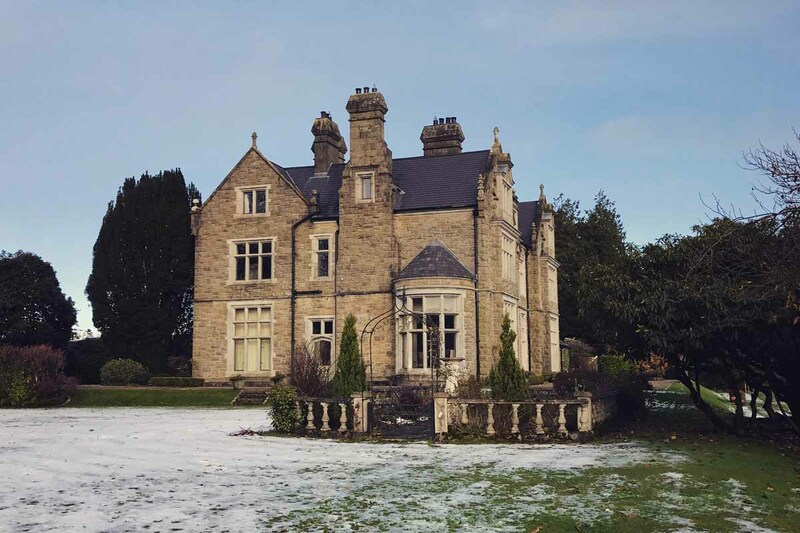 We’d highly recommend checking Blessingbourne out if you want to go away for a few days with your friends, escape with the family or simply take a break with that special someone in your life. For us, it was a fab couple of days catching up with friends while taking in the amazing scenery that Blessingbourne has on offer. We’ll certainly be back in the near future with Baby Toner, and we’ll maybe even take along our wee dog Bailey as well. For more information on Blessingbourne, you can visit their website (www.blessingbourne.com) to find out more about the estate and the accommodation, and also check out their latest offers, or you can connect with them on Facebook and Twitter. As ever, be sure to keep up to date with our latest food and travel adventures by following Pikalily on Facebook, Twitter and Instagram.